We would all like to spend more time in the garden, out in the fresh air - whether it be enjoying a BBQ with friends & family, having a romantic candlelit meal or just relaxing after a hard day at work with a glass of wine or two – but what about the unpredictable Tunbridge Wells weather? Well, this is where the addition of a Quality Patio Awning powered by Somfy to your Tunbridge Wells home is the perfect answer. Your adjoining internal room also benefits, as our Tunbridge Wells patio awnings keep the room cool, reduce the glare from the sun and stop carpets & furnishings from fading whilst maintaining the view of the garden. 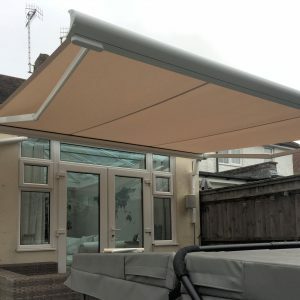 A patio awning will add a new dimension to your Tunbridge Wells garden and a room to your home that can be used all year round - Spring, Summer, Autumn & Winter. What size awnings are available for installation in Tunbridge Wells? Garden awnings already adorn the facades & gardens of many properties throughout Tunbridge Wells. Utilising the available outdoor space means an increased number days in the year you can make the best of your outdoor spaces. 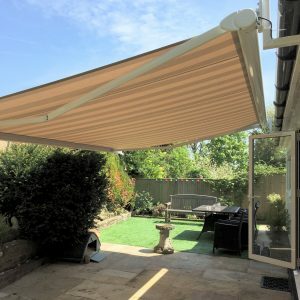 Our awnings in Tunbridge Wells are available with the option of a remote control, electric retractable mechanism, meaning no more manually winding the canopy out. Your local authorised Tunbridge Wells Awnings installer, Empire Installations, can arrange a free home visit to discuss the options & benefits and give you a no obligation, no hassle quotation. Transforming your outdoor area and changing the way you use your garden is just a step away. 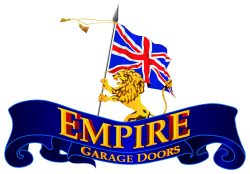 Extend your home with Empire, the Tunbridge Wells Patio Awning Specialists. Not in Tunbridge Wells? Still need a new patio awning?